Mumbai – 17th October: The first political game that Games2win launched in March 2014 called ‘Kursi Cricket’ turned out to be very prescient. The game made its players ‘predict’ who they would vote for as their next Prime Minister and as the game leaderboards revealed, Modi did win and win BIG. The game got featured as Google’s ‘Game for the election’ and resulted in over 1 million downloads. 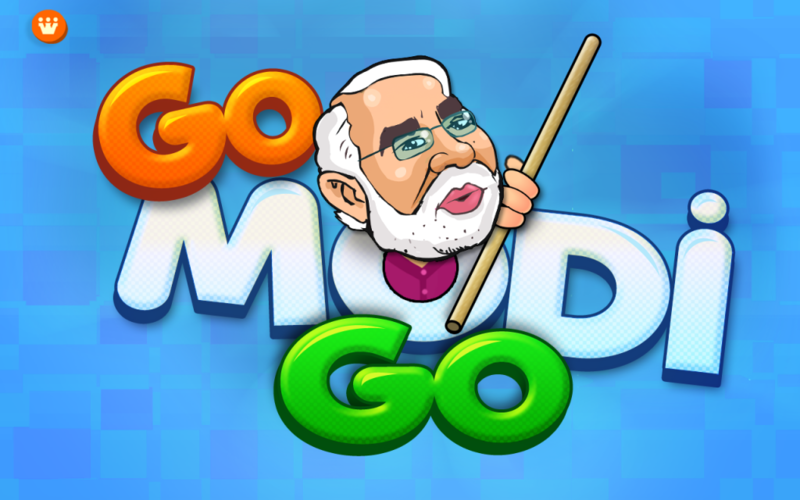 The second & latest game by Games2win in its political series is called ‘Go Modi Go’ and is quite simply a game that makes players perform all the tasks that PM Modi has to undertake to make India great again. There is, however, a twist to this simple tale: Instead of Mr. Modi doing the nitty gritty work himself, the game has a caricature of Mr. Amit Shah who has to follow the instructions of Mr. Modi! Alok Kejriwal – Co-Founder and CEO of Games2win said, “Given the spectacular success of our first political game Kursi Cricket and observing the success of Mr. Modi at the National & State Levels, it is obvious that Mr. Amit Shah – Namo’s second-in-command, really knows how to deliver! Hence we combined both stars in our new game and offered the game players the chance to execute the aspirations of PM Modi via the execution skills of Mr. Amit Shah! At a deeper level, we want players to take away that it’s the strategy and execution that go hand in hand to deliver spectacular success”. 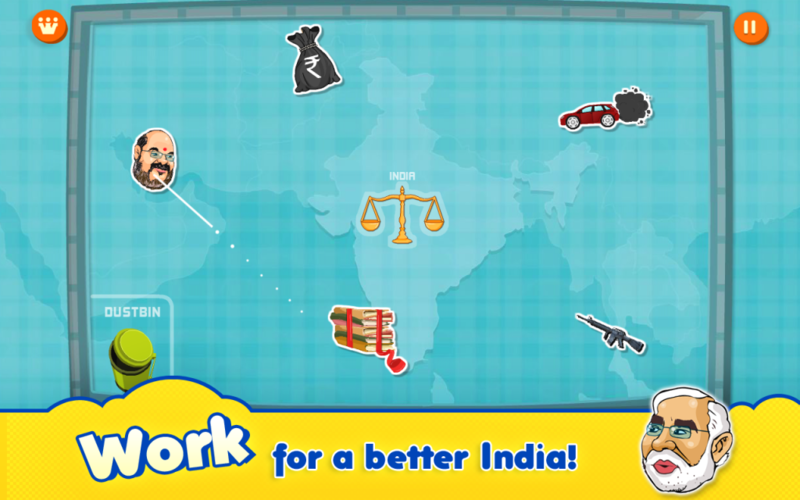 Go Modi Game is a simple ‘role playing’ game that uses the well-known ‘pull and fling’ mechanics of casual games like Angry Birds. In the game, players need to skillfully get Amit Shah to perform tasks that Mr. Modi wants to achieve, such as fixing the broken economy, cleaning up corruption, bringing the ministers together to work for the progress of the country, weeding out ancient laws and reducing inflation! Enjoy the game on the android store here. Games2win (g2w) is one of the world’s largest casual games businesses, operating across a global footprint, leveraging its own IP. The business has clocked 45 million game downloads across the iTunes, Android, Amazon and Windows mobile game platforms and is famous for its #1 game in the world – Parking Frenzy. The Company entertains over 20 million monthly consumers & owns 800 proprietary, casual games.